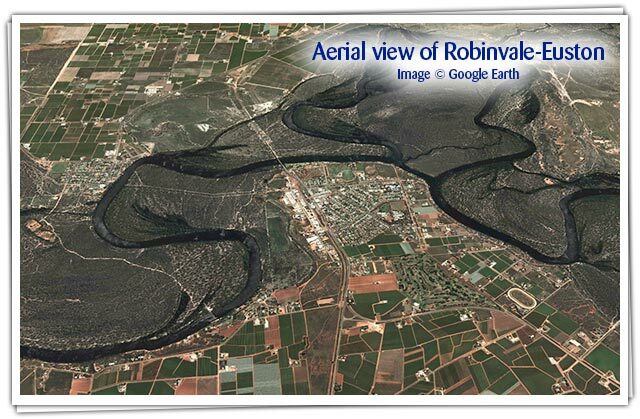 Robinvale-Euston has a thriving horticultural sector, with rich soils, sunny Mediterranean climate, and secure and abundant water supply. Visitors to the region can sample much of this delicious produce fresh from the farm gate, when in season. Driving your way through this region it is easy to see the vast amount of land utilised for a diversity of horticulture and agriculture. The area is suitable for growing and processing a diverse range of quality edible products. 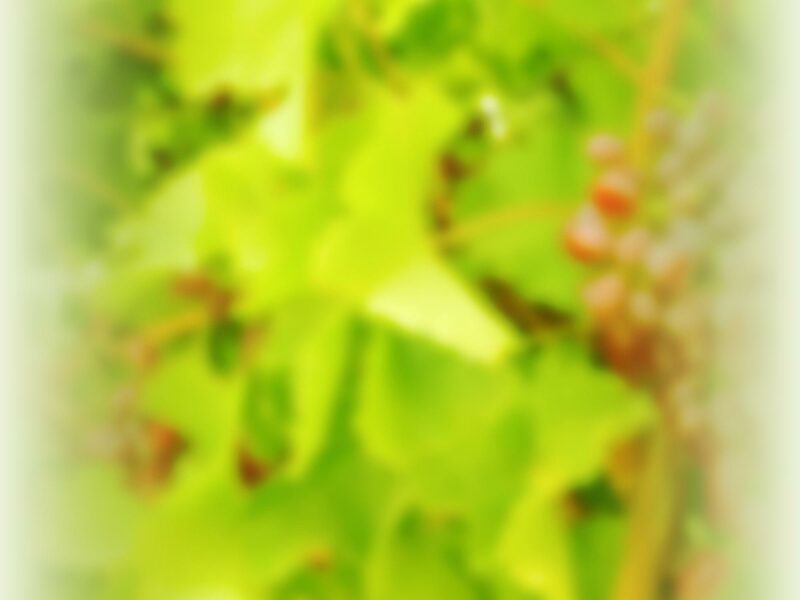 The principle production activity is fresh table grapes (harvest January to April) as well as large-scale production of wine grapes. Plantings of olive groves, almond and pistachio trees, carrots, broccoli, asparagus, apples, avocados, pumpkins, citrus fruit and more all thrive in the rich, sandy Mallee soil and provide Robinvale-Euston with a cornucopia of fresh produce. Goats, cattle and sheep are raised and grazed here also and the area still sustains farming families growing dry-land crops of wheat, barley and other grain. Export markets for the Robinvale-Euston horticultural industry are increasing rapidly as the reputation for the region’s quality produce grows. This creates opportunities for both employment and local business services. The seasonal or full time employment opportunities exist for those who would like to experience a working holiday, or a permanent change of lifestyle. Massive investment money has been spent in this region over the past three decades or more for domestic and export markets. The results speak for themselves with many of the foods and value-added products grown from within the region available for sale either at cellar door, the Visitor Information Centre. Stop in at a roadside stall for fresh, home-grown, seasonal produce freshly picked for sale, or visit the monthly Robinvale Country Market and purchase fresh, seasonal food straight from the grower to year – all year round. 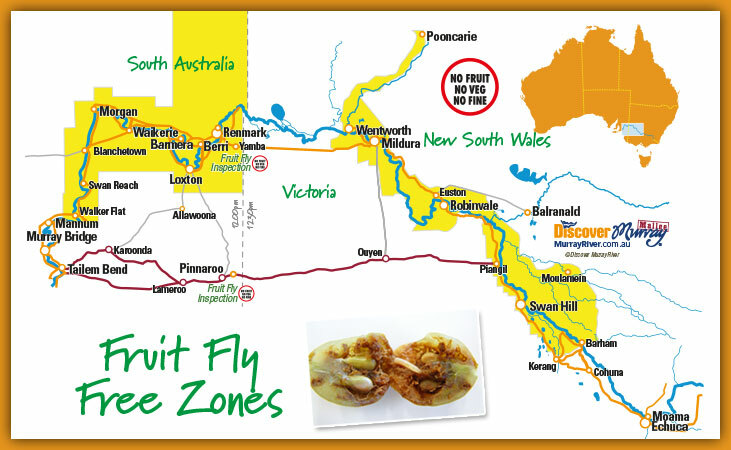 Be aware of Fruit Fly restrictions when entering the Murray Valley Region. Heavy fines apply when fruit and vegetables are undeclared. To find out more visit Discover Murray River.